The moment we heard A Star Is Born was nominated for a Golden Globe, and better yet that Lady Gaga was nominated for Best Performance by an Actress and Best Original Song ("Shallow" is a work of art if we do say so ourselves), we expected to be blown away come January 6 when she would finally walk the red carpet. She is, after all, known for making bold fashion and beauty choices. We're talking about the very same woman who arrived at the 2011 Grammys red carpet in some sort of alien egg vessel—but we digress. To put it succinctly, we were expecting something big and impressive. Impressed we were. She arrived in a voluminous periwinkle gown that was reminiscent of the one Judy Garland wore in the 1954 version of A Star Is Born. (Yep, the heartbreaking 2018 film starring Lady Gaga and Bradley Cooper is indeed a remake.) In true Gaga fashion, she went the extra mile by tinting her hair to match her gown. The best part—because yes, it gets better—is that her hair transformation was all thanks to a $20 product. Gaga's Golden Globes hair was styled by Frederic Aspiras, a celeb hairstylist who happens to be a key member of Lady Gaga's upcoming beauty line, Haus of Gaga, which is currently in development. Patents have reportedly been filed, so it's not a question of if but when we'll see Gaga's namesake beauty line hit the market. But let's get back to the Golden Globes hairstyle that broke the internet, shall we? Keep scrolling to see a step-by-step breakdown of the look. 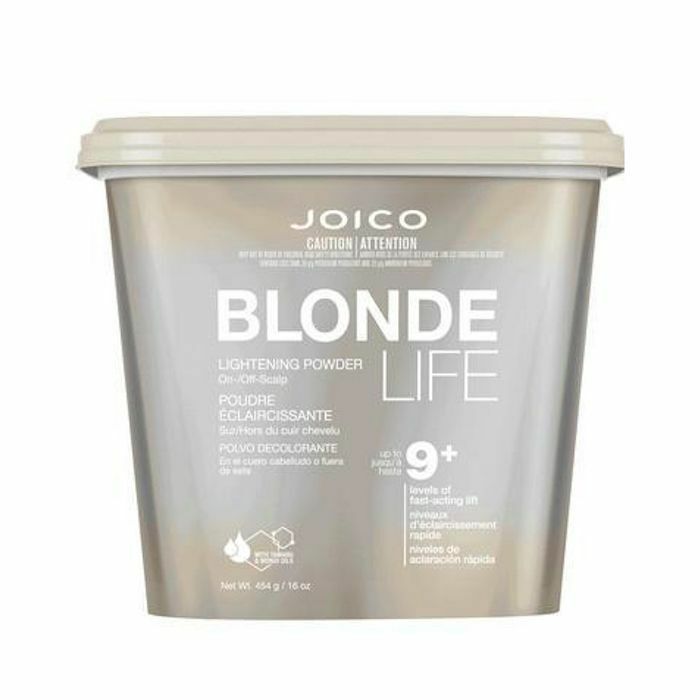 First, Aspiras used Joico Blonde Life Lightner, which, when applied to blonde hair, lifts the shade to create a lighter, more brilliant blonde. Since Gaga was already blonde, this product intensified her color, creating a light base that would embolden the periwinkle blue to come. If you look closely at the photo, you'll see Gaga's hair is an icy shade of platinum blonde underneath the blue. Next came time for the actual color to be applied. Aspiras mixed two shades of Joico's semi-permanent color together to create the cerulean blue we now know and love. It was a combination of Sky and Rose, which are bright blue and pink, respectively. These semi-permanent colors don't require developer, and they can be mixed to create personalized colors (just like Aspiras did for Gaga). 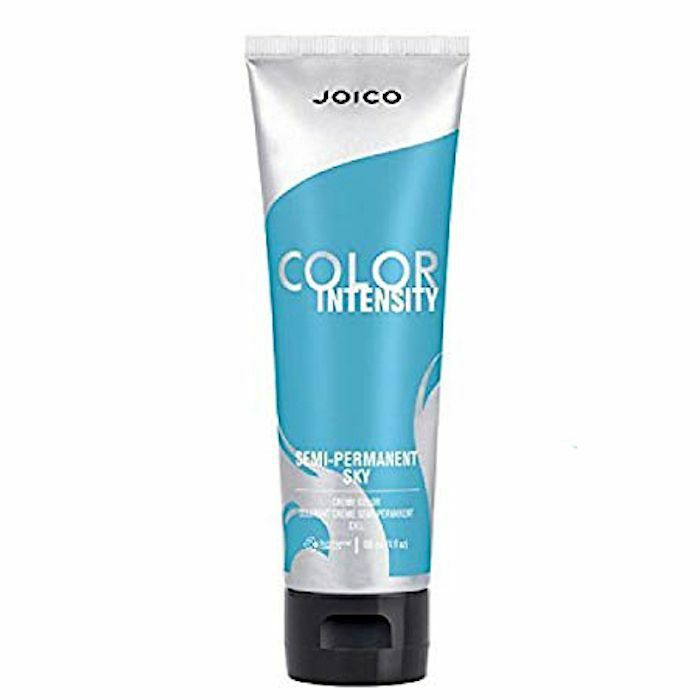 Depending on how it's applied and how often you wash your hair, it can last through upward of 15 shampoos—hence it's called semi-permanent color. After the color was complete, Aspiras began the styling process. 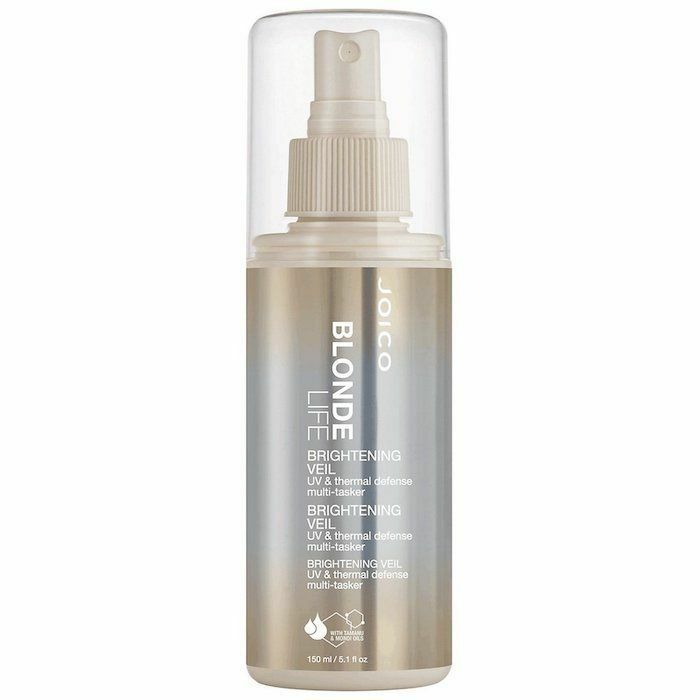 He reached for this spray from the brand's Blonde Life line, which protects fragile blonde hair from heat, styling, and UV damage. It also boosts shine, smoothes the hair cuticle, and hydrates dry strands. Aspiras spritzed it all over Gaga's hair before reaching for heat tools in order to keep the strength and health of her hair intact. After the Brightening Veil was distributed throughout Gaga's strands, Aspiras used the GHD 1-Inch Round Boar Bristle Brush ($40) and the GHD Air Blow-Dryer ($117) to blow out Gaga's strands. Then he ran the brand's Platinum Plus flat iron from the mid-lengths through the ends to create a smooth finish. 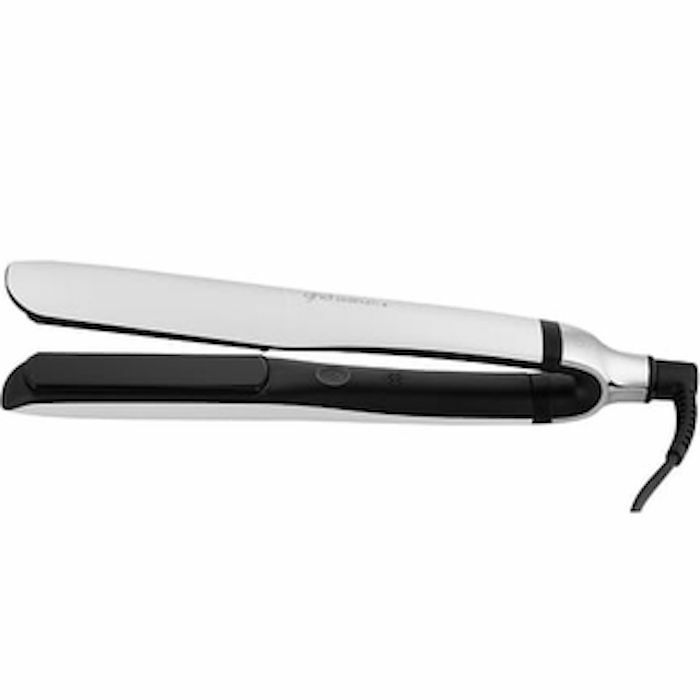 This flat iron is currently on sale at Ulta right now, which is good news for us. 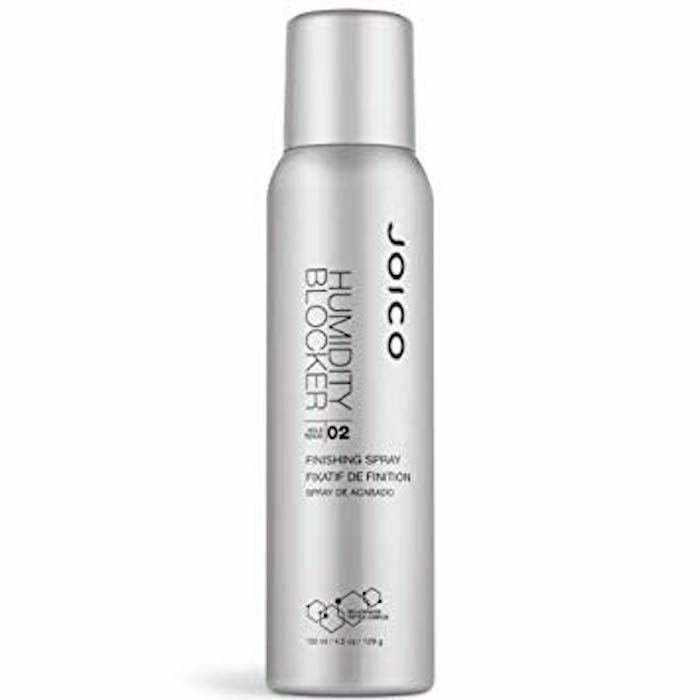 Next came Joico's texturizing spray, which provides big volume when used on fine- to medium-density hair. 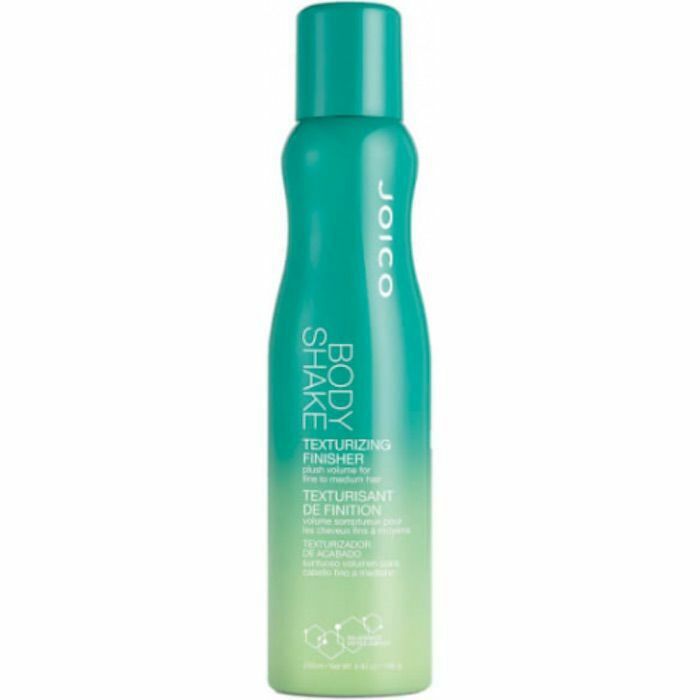 We're guessing this is the product that gave Gaga's updo all of its height. To use, simply flip your hair over and spray wherever you need a boost. We like using it near the crown for a natural-looking effect. "I then used a GHD Boar Bristle Paddle Brush ($35) to sweep the hair up into a ponytail," Aspiras said in a press release. "Wrap and twist hair into a half bun leaving end of hair out parted to each side of head. I then wrapped the ends of the hair around the 1 1/2 GHD curling iron to create long lasting curl. 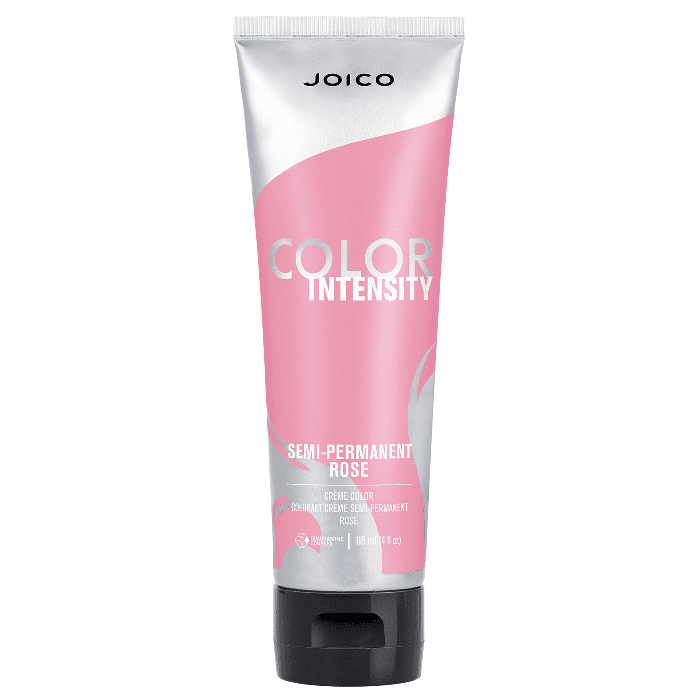 I finished by spraying Joico Humidity Blocker Finishing Spray." That's it. That's exactly how, step by step, Aspiras achieved Lady Gaga's avant-garde Golden Globes updo. It's not as difficult as it looks, right? Next, check out the 21 other celebs who made our best-of beauty list for the 2019 Golden Globes. These include the likes of Sandra Oh, Lucy Boynton, Thandie Newton, and more.